There are few things quite as rewarding as a glass of crisp white wine on a cool Texas eve. Austin’s winery scene is full of dozens of options to grab a glass, or a bottle, direct from the makers themselves at unique urban wineries right around downtown Austin. Or, head for the hills to the beautiful vineyards of the Texas Hill Country. Grab a ride and enjoy some of Texas’ finest vintages at these must-try wineries. These winemakers hit the road and compulsively search for the best grapes around the country, bringing the fruits of their labor back to Austin to make some excellent wine. 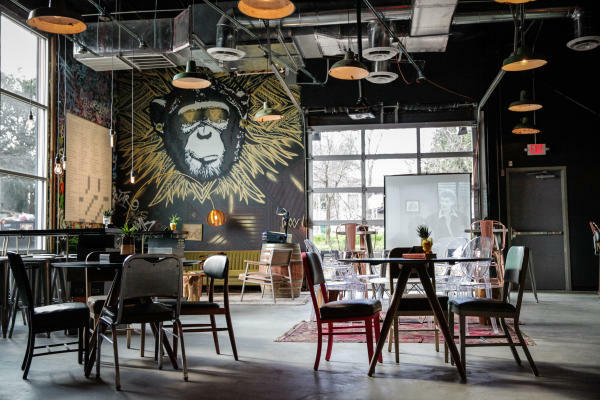 The Infinite Monkey Theorem Taproom. Credit Courtney Pierce. Take the edge off summer with a wine slushy in one of the coolest urban tasting rooms in the country. The décor can only be described as a Pinterester’s dream. This hidden gem serves wine from taps, with flights worth every penny. Known for its friendly and knowledgeable staff, this winery is stripping away the pretense of wine and making it more approachable to drink and enjoy. Start out with a glass of Texas High Plains Rosé with hints of fresh strawberries. These innovative crafters are putting a modern touch on the ancient beverage of honey wine, also known as mead. From dry wine-like mead to a lightly sweetened ciderey beverage, you can try a wide variety of the age-old favorite. Stop by the tasting room and try the many flavorful varieties on tap or find them in local stores and at farmers markets around town! 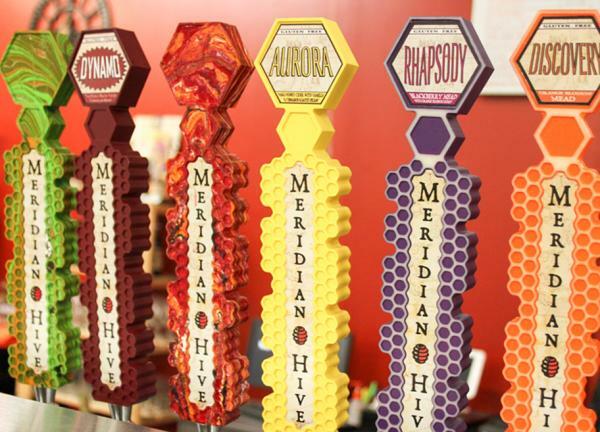 Meridian Hive Meadery tap handles, Credit Ellen Lundgren. Escape the city and head for the scenic Texas Hill Country surrounding Austin where you’ll find historic towns, active vineyards and dozens of wineries with tasting rooms ready to serve you fine wines. This winery is a slice of Tuscan heaven, deep in the heart of Texas. The family’s love for Italian grape varieties makes their Pinot Grigio the perfect pairing for ideal sunset views. Celebrating 20 years and many awards, it’s safe to say the Beckers know wine. On the beautiful grounds that include wildflowers and a peach orchard, there is a German Stone Barn where you can taste the Becker’s 2016 San Francisco International Wine Competition Gold Medal-winning Texas Cabernet. Bring the pup and a blanket to enjoy a picnic in the vineyard at this family-run spot. The wines are made mostly with grapes grown right on the estate that produce fine vintages like “The Good Guy,” with an aroma of dark fruit and flavor of black cherry. Wine tasting. Credit Trish McCabe-Rawls. 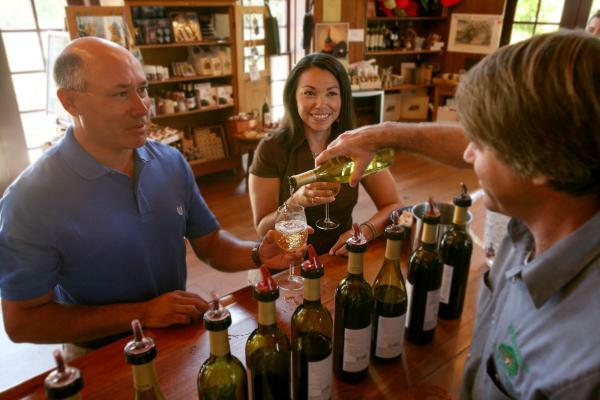 Let the experts guide you around to get a personalized tasting tour with Texas Wine Tours or Texas Two Step Wine Tours.